We don't make your typical rose. 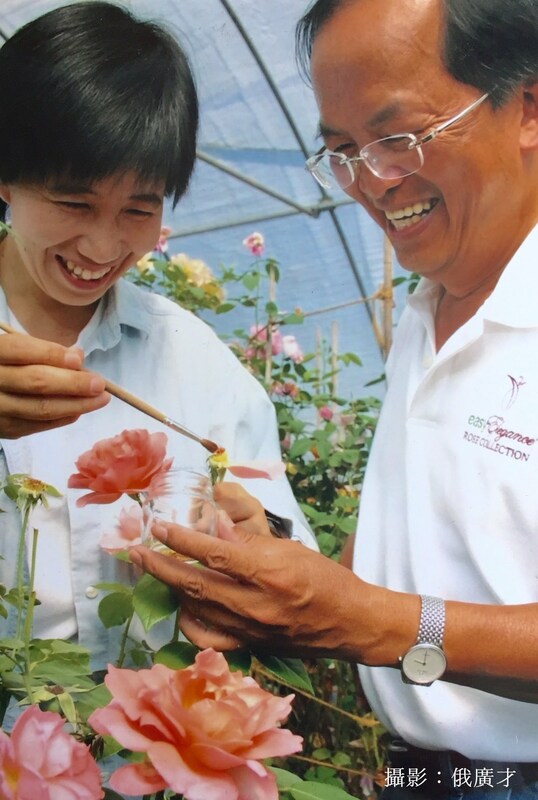 Ping believes that everyone should be able to grow beautiful roses without worrying or spraying pesticides. We breed for STRESS-resistance and hardiness across zones, fragrance, beauty, and easiness to grow. Because of our intensive selection process, our varieties that make it to the market are very easy to grow. Over the years, novice and expert gardeners have told Ping that they had struggled with growing roses until they tried one of his varieties. The story begins with a strategic cross between two varieties, which Ping directs. Ping and his team harvest the seeds and plant them in greenhouses. After several years of evaluating a seedling, Ping will decide to send it out for further testing… or to the compost bin. The seedlings that pass are grown in testing fields across the United States, from Minnesota with its harsh winters to Southern California with its dry summers. Ping and his team visit these sites to evaluate the new seedlings, and only the best are chosen for more testing and evaluation. The entire process, from seed to a plant that Ping is ready to call a "Rose by Ping", takes no less than 10 years. Ping's top priority is quality — and his standards are high. Our roses are INTERNATIONALLY ACCLAIMED. During the past 17 years, Ping and his team have created more than 49 cultivars. Ping's roses have won three All-America Rose Selection Awards, one Belfast Gold Award, one Japan's Best Award, two Biltmore Best Climber &HT, one Rose Hills Best Floribunda, one ARTS All-Star Winner HT award and 11 Portland's Best Rose Awards.